It was fantastic to catch up with the great Ken Warby at Toronto at the weekend. As you may remember, Ken still holds the world water speed record of 317.58 miles per hour (511.1 kph) which he set back in 1978. His son David is hoping to beat that time in Spirit of Australia II. It was a bit of a homecoming for Ken who spent a lot of time in the Toronto area in his younger days. He now lives in the US but says his first real interest in boats was born here. 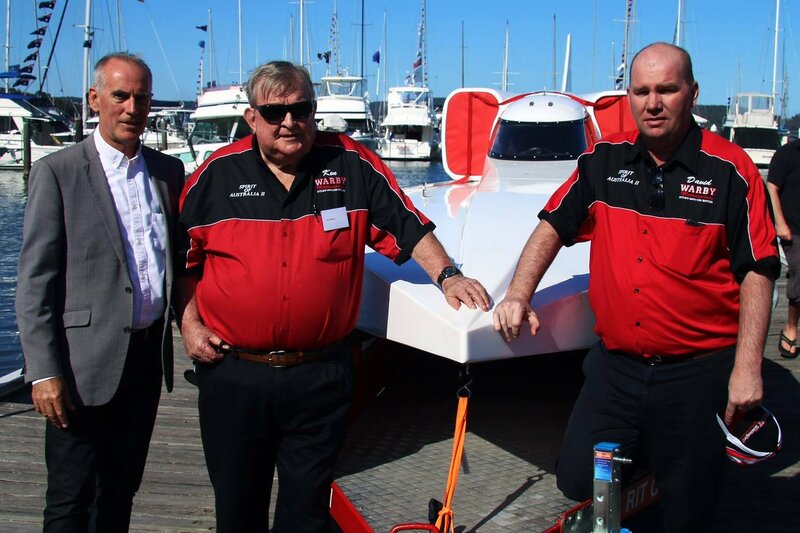 Ken and David brought Spirit of Australia II to Lake Macquarie to do some testing on the water.